Doctors of Chiropractic – often referred to as chiropractors or chiropractic physicians – practice a drug-free, hands-on approach to health care that includes patient examination, diagnosis and treatment. 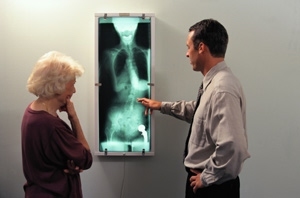 Chiropractors have broad diagnostic skills and are trained as primary care providers. Chiropractic physicians also are trained to recommend therapeutic and rehabilitative exercises, as well as to provide nutritional, dietary and lifestyle counseling. 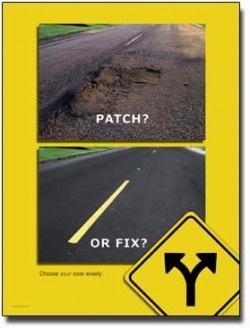 The first thing a chiropractic physician will do is ask you about the health complaints you are concerned with. The doctor will complete a complete medical history including any prior illnesses, surgical history, medications, traumatic history, family history, dietary habits, other care you may have had (chiropractic, osteopathic, medical, etc. ), your job, and other questions designed to help determine the nature of your illness and the best way to go about treating the problem. A physical examination will be performed in accordance with your doctor’s clinical judgment, which may include x-rays, laboratory analysis and other diagnostic procedures. In addition, a careful spinal examination and analysis will be performed to detect any structural abnormalities which may be affecting or causing your condition. All of these elements are important components of your total health profile, and vital to the chiropractic physician in evaluating your problem. Chiropractic rehabilitation involves the restoration of proper joint function of the spine or extremities, and the strengthening of supporting muscles and soft tissues. This will usually involve specific spinal adjustments, combined with a program of stretching, resistance training, and exercises to improve muscle tone. Some patients receive a set of simple exercises or “maneuvers” they can do at home. 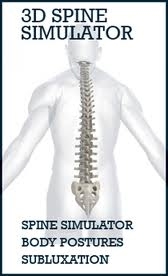 Other types of injuries will require the use of specialized equipment to isolate and strengthen specific areas of the spine. Dr. Peck utilizes the Synergy Rehab System in his office to accomplish this. 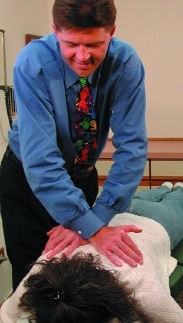 The Cox Technique is an advanced and gentle chiropractic adjustment for neck and back pain. Unlike surgery, it is a conservative and non-invasive form of treatment. Indeed, it drastically reduces the ill effects, risks and high costs of surgery and has often proven more effective. A specially crafted partially motorized table allows for a wide range of decompression movements. Further the doctor is always in full control of the table. The Cox technique has become the treatment of choice for most neck and low back pain, and after nearly forty years of research, testing and practice it is one of the most effective treatments available. FACT: The Cox Decompression Technique is a less invasive and safer substitute for surgery for the 95% of low back pain patients that don’t require surgical procedures. What does the Cox Technique treat? What other services do you offer besides chiropractic? Our office offers a variety of alternative health treatments, including acupuncture, auriculotherapy, clinical nutrition, physical rehabilitation and massage therapy.